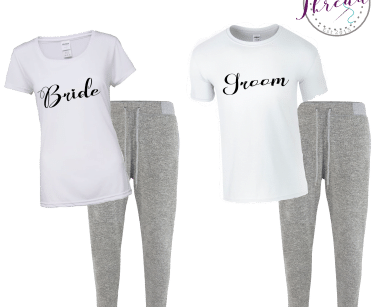 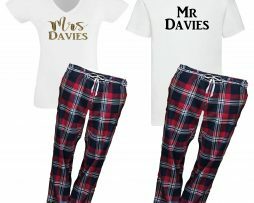 Here we have a fantastic range of our personalised clothing and gifts for the Bride and Groom. 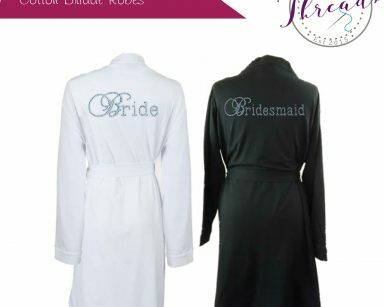 You will find our popular his and here bridal satin robes along with mr and Mrs cotton dressing gowns. 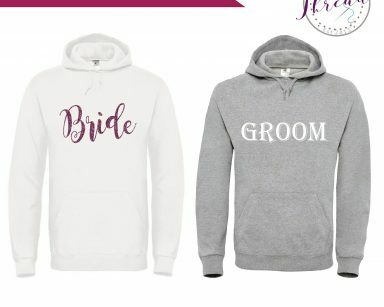 Bride and groom tshirts, hoodies and more as we increase our selection of personalised clothing. 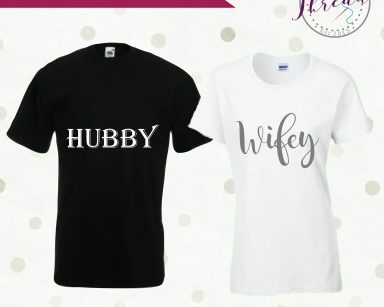 All of our wedding products are personalised at your request with names added at your request. 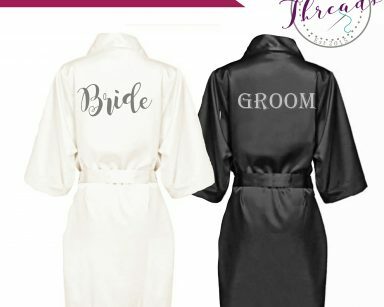 If your looking for a Bride and Groom gift then our range of Mr and Mrs robes ensure the Man in your life feels as special as you. 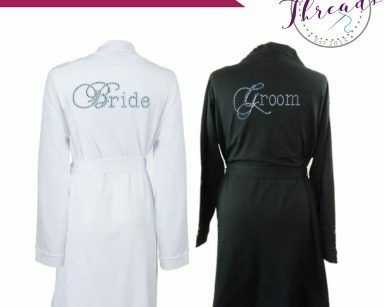 The Mr & Mrs robes / Dressing gowns for both of you are great for photos of you, on your honeymoon or even after your wedding day. 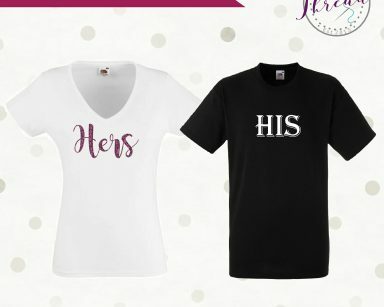 A perfect memorable gift for the both of you afterwards. 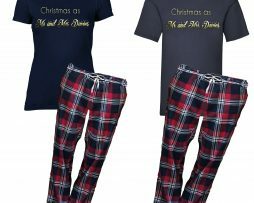 Please feel free to take a look at our His and Hers section and contact us if there is something you would like that you dont see as im sure we can accomodate.